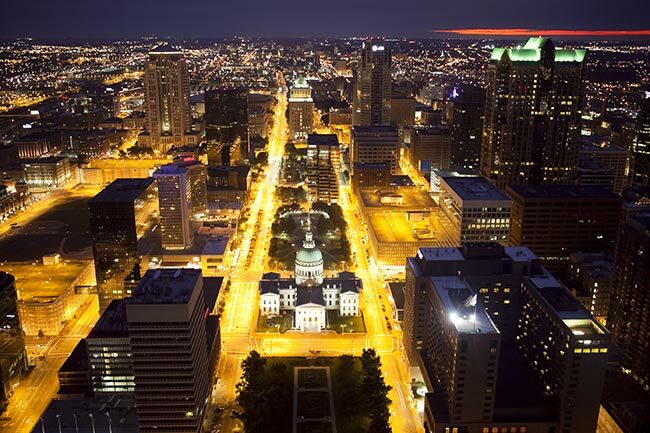 Situated on the border between Missouri and Illinois, St. Louis is not only the Show Me State’s largest metropolis, but also its most critical business hub. The town is truly a master of all trades, attracting investment from leading universities, research firms, healthcare companies, and automotive manufacturers. Not only does this provide jobs and wealth, but it allows St. Louis to play a critical role in the American economy, creating some of the most important products and innovations of the modern world. ExpeditedFreight.com exports St. Louis’s creations across the continent, allowing all Americans and Canadians to benefit from this city’s continuous accomplishments. 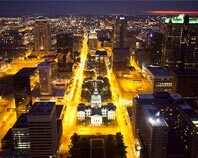 When most people think of St. Louis, they picture Washington University in St. Louis, the University of Missouri- St. Louis, and other institutions of education. And while these universities do indeed play a powerful role in the local economy, the city is by no means limited to them. It also serves as a major center for automotive manufacturing, attracting business from GM and countless other key automakers. Combined with the many bioscience labs, healthcare providers, and tourist sites in the region, this provides jobs and wealth for residents of all backgrounds and skill levels. St. Louis’s dominance in all these industries is only possible because of expedited shipping services, which allow the city’s businesses and universities to get the supplies they need while shipping out finished products. ExpeditedFreight.com offers these carrier services to all local producers, upholding the highest standards of safety and punctuality along the way. We serve St. Louis proper, St. Charles, Edwardsville, Cape Girardeau, Chesterfield, and Florissant. Planned Deliveries - The ExpeditedFreight.com team doesn’t just hop in the truck and head along the most convenient road. Instead, we plan the route carefully, taking into account exposure to weather, traffic, and road damage in addition to physical distance. This way, not only do we ship quickly on average, but we avoid delays. We also track our vehicles once they are on the road, watching out for new sources of delay and making the corrections necessary to avoid them. Dedicated Shipping - Our expedited shipping strategy involves assigning a truck or van to each order. This has benefits for both safety and speed. In terms of safety, it lets us load storage equipment that preserves your goods against turbulence, hot weather, and other sources of damage or spoilage. Likewise, this strategy means we don’t have to visit anyone else before we get to you, thereby improving speed. Driving Teams - For each delivery that involves driving more than a few hours each way, we assign two drivers to the vehicle. These drivers can stay on the road day and night, switching between rest and work as necessary. This way, we don’t have to stop overnight, thereby improving delivery times, yet both of our drivers have all the rest they need to do their jobs safely and professionally. Located at 1500 East Route A in Wentzville, Missouri, Wentzville Assembly is one of the largest and most productive manufacturing facilities in the St. Louis metropolitan area. Built by General Motors in 1983, the plant has a produced vehicles for the Buick, Pontiac, Oldsmobile, Chevrolet, and GMC brands. It currently manufactures the Chevy Colorado and the Chevy Express 2500 and 3500, as well as the GMC Canyon and the GMC Savana 2500 and 3500. As with any manufacturing facility of this size, Wentzville Assembly has its share of supply problems. The plant needs a range of complex parts, many of which are delicate and cannot be obtained within the St. Louis area. 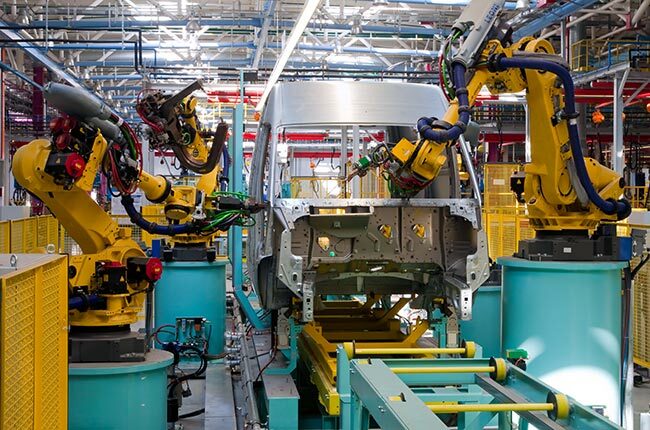 Though General Motors has established an effective supply line to the facility, it is vulnerable to logistical delays and disruptions. To deal with such emergencies and other shipping challenges, Wentzville Assembly has long turned to ExpeditedFreight.com to handle all of its express freight needs. As an expedited freight carrier with extensive experience serving manufacturing clients, we have the skills and resources to complete even the most difficult deliveries with little or no prior notice. We plan our routes from suppliers to Wentzville in detail, finding the quickest, safest, and most reliable paths. We also use advanced tracking to keep an eye on our vehicles, along with team driving and specialized equipment to safeguard the supplies. Wentzville Assembly can thus get all the supplies it needs to stay on schedule. For a free quote or more information on our expedited freight services, contact the ExpeditedFreight.com 24/7 customer service team today at (816) 865-5800.